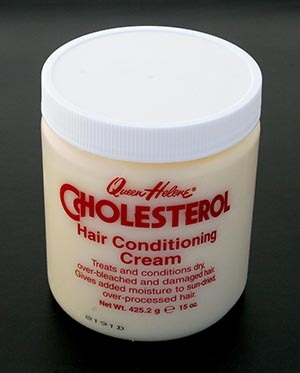 Cholesterol is a water based hair cream that's used to "block out" masses of hair like eyebrows and mustaches during lifecasting. The Cholesterol keeps the alginate from flowing down between the hairs so the "mass of hair" shows up in the LifeCast. Without Cholesterol, the eyebrow or mustache just wouldn't show up in the final casting. Inexpensive, easy to use and effective- Cholesterol is a valuable tool. You do NOT want to use Vaseline for this job. Alginate does NOT stick to an oily surface so it is very difficult to even put the alginate onto Vaselined skin. 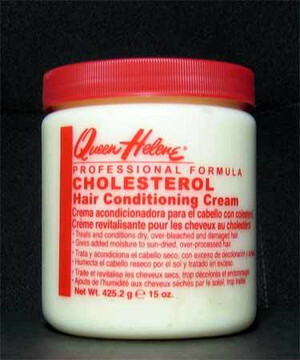 Cholesterol will wash right out with shampoo and leave your hair feeling marvelous.